Provides fast relief within two weeks. Builds increasing protection against sudden shocks of painful sensitivity. Provides long term relief with regular use. Contains Flouride for cavity protection. Complete care for everyday use. *Promotes healthy gums and removes plaque with regular brushing. **Maximum strength FDA allowed antisensitivity active ingredient. Adults and children 12 years of age and older: apply at least 1-inch of the product onto a soft bristle toothbrush. Brush teeth thoroughly for at least 1 minute twice a day (morning and evening) or as recommended by a dentist or physician. Make sure to brush all sensitive areas of the teeth. Children under 12 years: consult a dentist or physician. 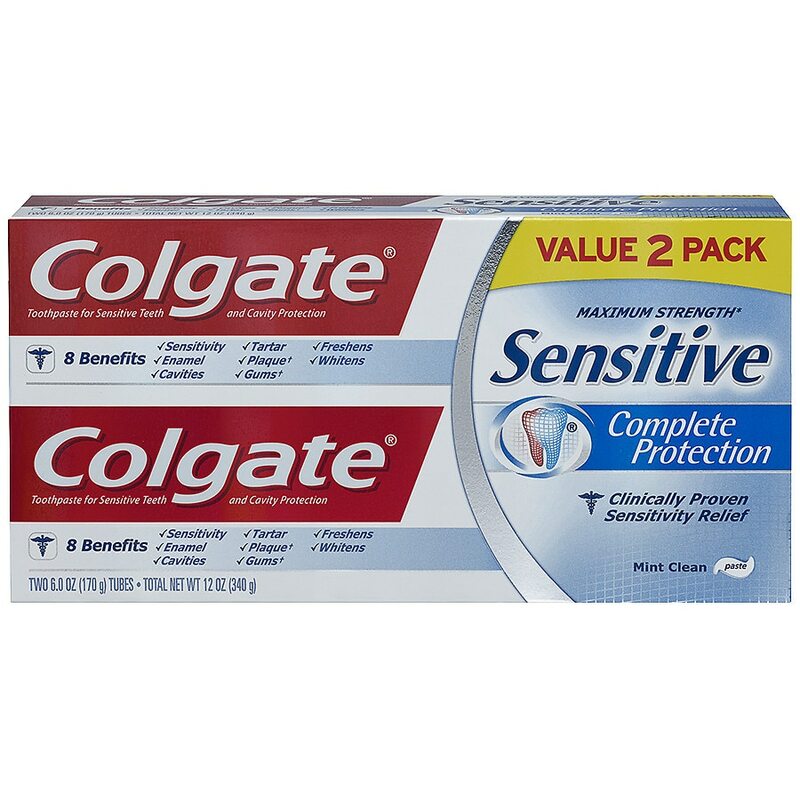 When using this product, if pain/sensitivity still persist after 4 weeks of use, please visit your dentist. Stop use and ask a dentist if the problem persists or worsens. Sensitive teeth may indicate a serious problem that may need prompt care by a dentist. Keep out of reach of children. If more than used for brushing is accidentally swallowed, get medical help or contact a Poison Control Center right away. Builds increasing protection against painful sensitivity of the teeth to cold, heat, acids, sweets or contact. Helps protect against cavities.